Taking the best OBD2 App for your Android/iOS device will enable you to have the most benefit from your OBD2 Bluetooth Adapter. While many OBD2 Bluetooth adapters come with their own apps, some allow you to use third-party OBD2 apps. It is very interesting since what you can do with the scan tool depends largely on the app you pair. What is the best compatible adapter for each app? To make it easy for you, we have reviewed the 15 best OBD2 apps for iPhone / Android that are worth your consideration in 2019. The review includes 7 OBD2 apps for Android and 8 ones for iPhone, iPad (iOS devices). With an OBD2 App pairing with an OBD2 Bluetooth adapter, you will turn your iPhone into a scan tool. If you have an iOS device, there are also several universal OBD apps you can try. These include OBD Auto Doctor, OBD Fusion, DashCommand, Bluedriver, Carista OBD2, GOFAR, EOBD Facile, and Engine Link. But what’s the best OBD App for iPhone? Let’s see! OBD Fusion is famous not only among DIYers but mechanics as well because of its compatibility with all OBD2 and EOBD compliant cars and enhanced features it offers. It won’t be wrong to say that OBD Fusion is a car diagnostic app as it can process data 100 times a second. We believe that OBD Fusion is the best OBD2 app for iPhone, iPad (iOS devices). You can check engine light errors and clear them, prepare diagnostic reports, measure performance, see battery voltage, customize the dashboard, and see multiple sensor data from this paid software. Supports more than 150 PIDs. Stores reports and even allow you to email them. Real-time GPS tracking and even allows you to find your car in offline mode. Shows real-time graphs that you can upload to the Dropbox. GPS drains phone battery quickly. The software doesn’t offer all the features to all the adapters. We recommend this iPhone OBD2 app to people who want to keep their car’s engine running and in good shape using iOS devices. It’s professional and offers many features. 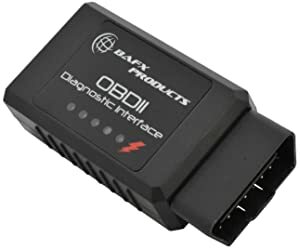 OBD Fusion works best with the BAFX Products for iOS devices. It will unlock many features and will run smoothly with this scanner. 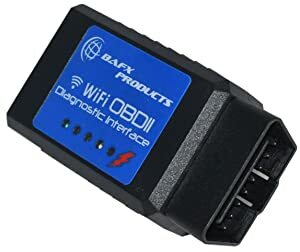 The BAFX Products for iOS is one of the best WIFI Adapters for iOS devices that suits OBD Fusion. OBD Auto Doctor is considered as one of the best OBD apps for iPhones since it helps you interact with your car’s OBD system easily. Veepeak Mini WiFi OBD2 Scanner plays well and becomes very helpful when having OBD Auto Doctor installed in it. Veepeak Mini WiFi OBD2 Scanner suits any iOS devices. DashCommand holds the title of being the four-time SEMA Global Media Award Winner. This app has enhanced performance and is capable of turning your iPhone or iPad into an engine data screen. You will be able to see engine related information such as torque, pressure. etc. With this car diagnostic software, you can keep an eye out on gas consumption and improve your car’s gas mileage. DashCommand is also one of the best Bluetooth OBD2 apps that allow users to customize the dashboard and keep the most used features on the top for convenience. DashCommand lets you use many features such as monitoring acceleration, analyzing brake performance, checking and clearing DTC trouble codes, and performing data logging. One amazing feature of this OBD2 software is the trip information. With this feature, you can monitor the start/end time of journeys including the distance covered. Doesn’t work well with 8.0 and older iOS version. DashCommand is a good choice to turn your mobile devices into a scan tool. 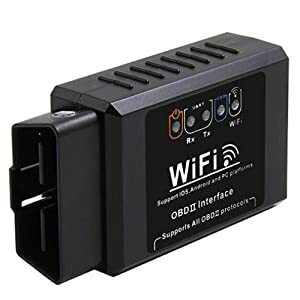 This is one of the best OBD2 iPhone apps for Bluetooth connection. To make the best of this OBD2 iPhone software, use it with Veepeak OBDCheck BLE for iOS. The VeePeak OBDCheck BLE is a great pick for any iOS fan. Bluedriver is also one of the best OBDII apps for iPhone, for many, as it’s free to use. With the Bluedriver car diagnostic app, you can read and clear codes, freeze frame data, see live data and perform enhanced diagnostics which includes reading and clearing airbag codes, ABS and transmission codes as well. 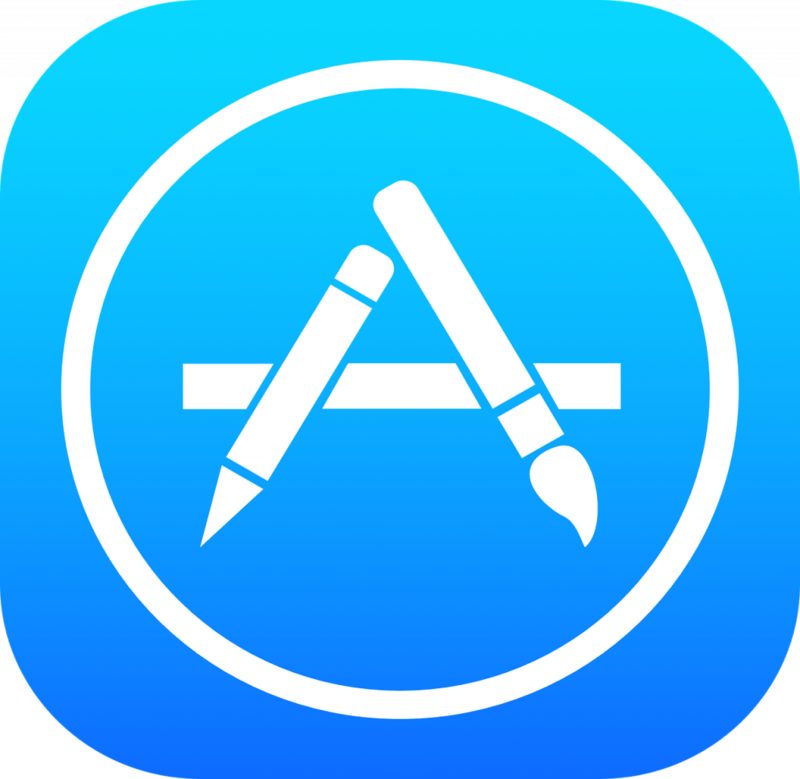 When you install Bluedriver on your iOS compatible devices, you will be able to check engine light trouble codes, perform smog tests, and even find verified fixes from its database that contains 6.6 million fixes. Plus, it’s compatibility with Android as well. The Bluedriver car diagnostic tool app lets you send messages to the manufacturer. No add-ons to worry about. Updates are free and released regularly. Automatically connects to Android and iOS devices. The auto diagnostic app for iPhone is a non-updated software that might freeze many times. It’s great as it’s free and easy to use and offers some amazing features as well. 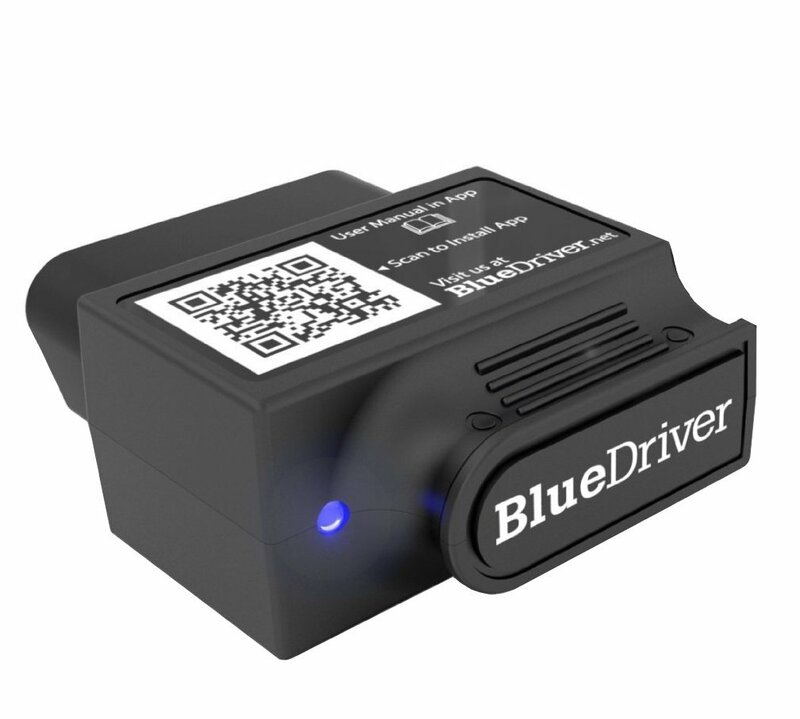 This OBD2 Scanner app works best on the Bluedriver OBD2 Adapter. The Carista OBD2 lets you use basic OBD2 features for free but to use the advanced features, such as TPMS, customization, coding, ECU, EPB, and ABS/Airbag, you must buy the software. If you do not want to buy the vehicle diagnostics app, you can still perform functions like reset engine light codes, see live data, smog test, using the free tool. However, the main aim of Carista OBD2 is to offer you a professional automotive diagnostic software that can perform advanced features including ABS, airbag, and navigation in models including SEAT, Volkswagen, Audi, Skoda (VAG), Mini, BMW, Toyota, Scion, and Lexus. Other advanced features include auto locking doors, see ECU information in detail and perform service reset as well. This auto diagnostic app supports all OBD2 models that were manufactured after 2000. 1st month is free if you use with the Carista adapter. Generates overheating message if the engine is heating. Sometimes shows connectivity error in some vehicles. Though the price is a little bit high, Carista OBD2 is a great OBD2 iOS app with a number of advanced functions. Carista OBD2 works flawlessly when connected to the Carista OBD2 Adapter for iOS devices. 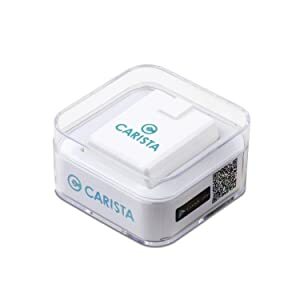 Carista works greatly when pairing with the Carista Adapter. GOFAR is an IRS-compliant telematics device that syncs with a car’s OBD2 port adapter. It monitors car health and track mileage. GOFAR includes free mobile software and digital log that fully automates work-related car expenses. It is compatible with iOS and Android smartphones. The GOFAR OBD Bluetooth is paired with a dashboard-mounted device called Ray that delivers real-time driver feedback to help you save up to 30% on fuel. GOFAR gives you anything that an OBD app for iOS can do. EOBD Facile allows you to connect your iPhone or iPad with your car and check the condition of the OBD system. The EOBD Facile is greatly compatible with VEEPEAK OBDCheck BLE for iOS. You can connect Engine Link to your vehicle either using an adapter or Bluetooth connection. Engine Link is compatible with many adapters. But the wsiiroon Car WIFI OBD2 Adapter best suits it. 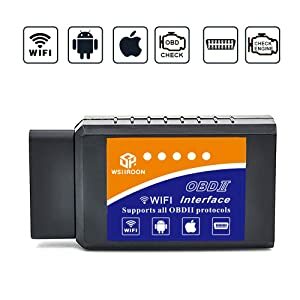 wsiiroon Car WIFI OBD2 Adapter never fails any car owner who want to use an iPhone to diagnose their cars. The Best Android OBD2 App should pair with a compatible OBD2 Bluetooth Adapter for Android. With one of the Android OBD2 apps below, you can turn your Android devices into a car scan tool. The OBD apps in the list are OBD Car Doctor Pro, Torque Pro, OBDLink, Car Scanner ELM OBD2., Torque Lite, Scan Master, and HobDrive. So, what is the best OBD App for Android? Let’s have a look! Torque Pro shows any problems occurring in your vehicle. You can use it in conjunction with the Track Record to record your journey. This OBD2 car diagnostic app for Android is very useful in bestowing information on the horsepower, dynamometer, car emissions and its influence on the environment. We highly recommend Torque Pro as the best Android OBD2 App for your vehicles. This OBD2 Software for Android is not free. 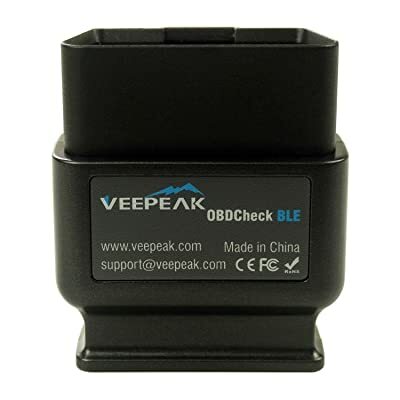 One of the best OBD2 Adapters compatible with this automobile code reader app is Veepeak OBDCheck BLE 4.0 Bluetooth Scanner. The VeePeak BLE is a great choice for anyone who owns a car and wants to discover more about what’s going on with it. OBD Car Doctor Pro is a vehicle diagnostic app that reads all data sent via your OBD adapter. Also, this Android OBD2 app can show you real-time information on your car engine and other parameters including pressure, speed, the angle of rotation, and temperature among other sensor data supported by your vehicle. OBD Car Doctor Pro is one of the best OBD2 Android apps 2018 for your car. 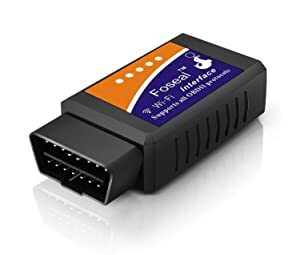 OBD Car Doctor Pro can work well on most OBD2 Adapters, one of which is Foseal WIFI OBD2 OBD2 Car Scan Tool for Android. A lot of people think that since the OBDLink only supports OBDLink scanners, it’s not the best OBD2 app for Android but that’s not true. OBDLink offers complete customization on the dashboard and lets you choose the feature that you use the most. What makes OBDLink one of the best OBD2 apps for Android is its ability to read live data, perform emission tests, perform GPS tracking, display oxygen sensor results, record trip information, and perform onboard testing. Works very quick and can help you save time. Is very easy to use thanks to customization options. Displays over 90 parameters in real-time data. Hangs in a few cars. Supports version 4.0.3 and up only. If you have an OBDLink Adapter, the OBDLink is the best choice for you. In fact, OBDLink is an exclusive software and supporting only OBDLink adapters, which is the reason why it is so powerful and compatible. The OBDLink works lag-free when used with OBDLink MX for Android and Windows. Car scanner ELM OBD2 is also a great OBD2 app for Android for many reasons. It offers a plethora of features and is free to download and use. Car Scanner ELM OBD2 can help check faults in the engine and sensors like a pro. You can customize the dashboard, add custom PIDs, save DTC codes, monitor many live tests, and perform emissions test. The highlight of this Bluetooth OBD2 app is its HUD mode feature that projects the data onto the windshield. This ELM 327 app unlocks a few extra features for premium brands such as Toyota, Nissan, Chevrolet, KIA, Mazda, GM, and Mitsubishi. Free to use with good features. Doesn’t offer many advanced features such as key programming. The Car Scanner ELM OBD2 is one of the best ELM327 apps that offers many basic and a few advanced features. And it’s completely free of cost. If you want a free OBD2 software then Car Scanner ELM OBD2 can be a good pick. This car scanner app is meant to work efficiently with Veepeak mini Bluetooth Adapter. 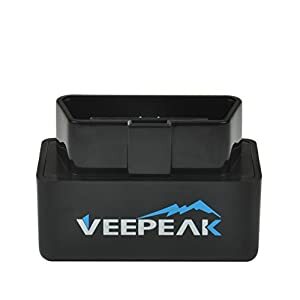 Veepeak Mini WiFi OBD2 Scanner suits any Android devices. Torque Lite is meant to work with many car brands as it is one of the most popular apps on the market. It is free to download and use this software. The OBD diagnostic interface app offers many basic features on the free version. You must purchase the paid version to use advanced features. With Torque Lite, the free version of the Torque OBD App for Android, you can check and clear DTCs, export files in CSV format, check engine performance related data, check car speed at night with HUD mode, perform data logging, and customize dashboard as well. However, the free version might show some bugs in a few car brands such as Subaru, Chrysler, and Nissan. This is why it’s a good idea to get your hands on the paid version. See engine temperature (Gm Ford only). The free version offers many basic features. No ads in the paid version. The paid version supports more cars than the free version. Freezes in Galaxy Tab and HTC Evo 4. Can be a bit hard to use due to too many dials. Torque Lite is said to support many cheap Bluetooth adapters and premium ones as well. If you want to use a free OBD2 app on your Android device to perform basic features then Torque Lite is for you. 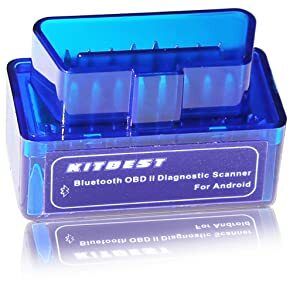 It is said to work efficiently with Kitbest Bluetooth OBD2 Adapter for Android Devices. Kitbest is one of the best affordable Bluetooth OBD2 Adapters for Android devices. Scan Master might not very popular but it’s really great for Android devices. The software is easy to use and works very well. To use the complete features of Scan Master, you must buy the pro version. The Lite (free) version lets you check vehicle information (VIN, CVN), check, clear and store trouble codes, freeze frame data, see live data stream and MIL status. The pro version offers more features that are not accessible in the LITE version. The free version offers basic OBD2 features. Shows graphical representation of data. Compatibility issues with some devices. Scan Master is good to use only if you want to use basic features on your Android phone. 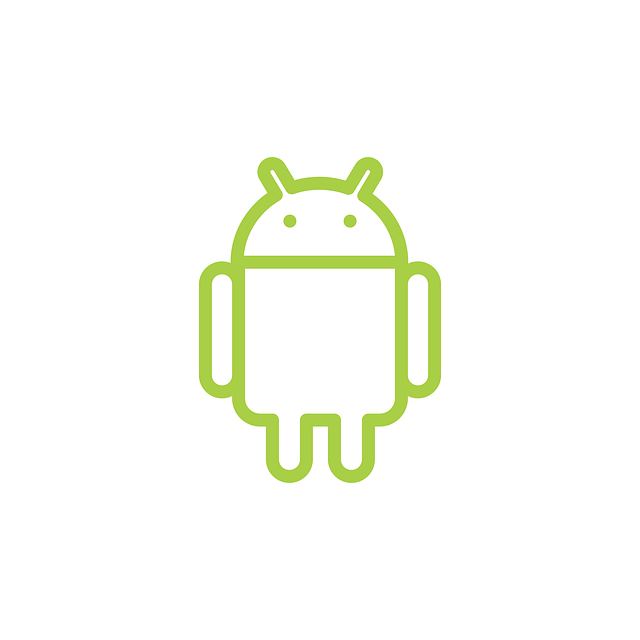 Scan Master processes faster when used with BAFX Products for Android. In general, the BAFX Adapter is built for users who want a diagnostic tool that will deliver good performance. HobDrive runs on desktop PC’s, laptops, Android phones, and tablets. HobDrive is compatible with several OBD2 Adapters. I would recommend using the Generic ELM327 WiFi OBD2 Scanner for Android. When choosing an OBD scanner app for your vehicle, you must first determine its compatibility with your car. You must also check its ability to support different adapters or Bluetooth connection capabilities. The OBD Fusion is highly recommended when it comes to OBD2 apps for iOS (iPhone / iPad). With this OBD2 App installed on your iOS devices, you can check engine light errors and clear them, prepare diagnostic reports, measure performance, see battery voltage, customize the dashboard, and see multiple sensor data from this paid app. The OBD Fusion best suits BAFX Products Adapter for iOS devices. From the above list, the Torque Pro is the perfect OBD2 software for Android since it supports a wide range of car models and offers a variety of functions. Torque Pro is very useful in bestowing information on the horsepower, dynamometer, car emissions and its influence on the environment. It works best on a VEEPEAK OBDCheck BLE Bluetooth Adapter.